On Oct. 13, 1930, Bishop Jose Alves Correia da Silva of the Diocese of Leiria-Fatima announced the results of the investigative commission and formally approved the apparitions. Every pope thereafter has recognized these events and has emphasized the importance of Our Lady of Fatima and the devotion to her Immaculate Heart. Due to the 1918 influenza epidemic, the two younger children did not live long beyond the apparition events. Francisco, 10, requested his first Communion on his deathbed and passed away the following day, April 4, 1919. Jacinta died on Feb. 20, 1920, at age 9 after an unsuccessful operation for an abscess in her chest. Lucia became a postulant at the convent of the Institute of the Sisters of St. Dorothy at Pontevedra, Spain, but later entered the Carmelite convent in Coimbra, Portugal, where she remained until her death in 2005. On May 13, 2000, St. John Paul II, at the end of Mass in Fatima with Sister Lucia in attendance, authorized Cardinal Angelo Sodano, Vatican secretary of state, to make a statement regarding the third secret of Fatima, where he related the image of a “bishop clothed in white” getting shot. After the assassination attempt by Mehmet Ali Agca of Turkey on St. John Paul in St. Peter’s Square on May 13, 1981 (feast of Our Lady of Fatima), the pope believed that the secret applied to that event. The next year, he took a bullet fragment that had entered his body and had it placed in the crown of the famed statue of Our Lady of Fatima in Portugal. Sister Lucia herself indicated that she agreed with this interpretation of it as a prophetic vision of the struggle of atheistic communism against Christianity and the sufferings of the victims of the faith. That day, St. John Paul made the feast day of Our Lady of Fatima universal by including it in the Roman Missal and beatified the two deceased seers, Jacinta and Francisco. When canonized, they will become the youngest nonmartyred saints in church history. 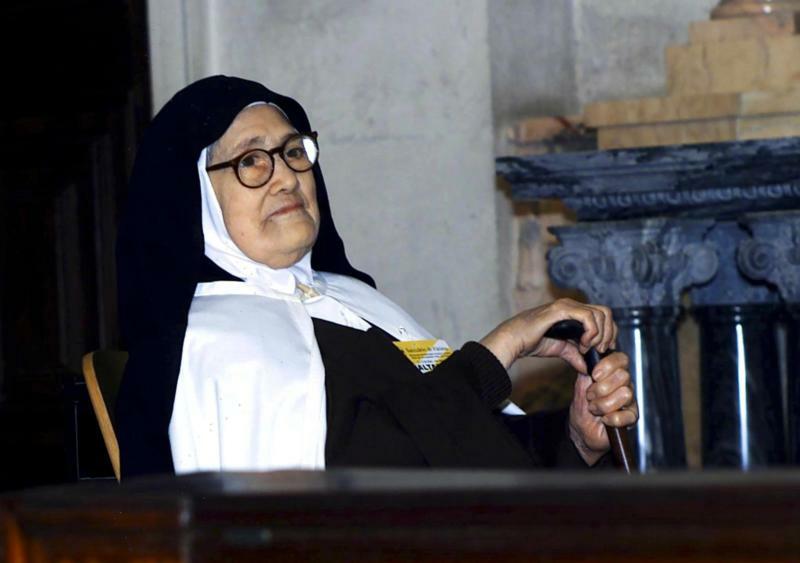 In 2008, Pope Benedict XVI lifted the normal five-year waiting period to begin the canonization process of Sister Lucia dos Santos who died at age 97 in 2005. Fatima has become an important place of pilgrimage with 5 million people per year coming to the Basilica of Our Lady of the Rosary which was first begun in 1928. This 100th year of the Fatima apparitions is cause for great joy and celebration as are any of the very rare, highly approved and celebrated examples of the miraculous found in the Catholic Church such as Lourdes, Guadalupe, Divine Mercy and the Sacred Heart of Jesus visions of St. Margaret Mary Alacoque, examples with papal recognition, canonized visionaries, basilicas and feast days on the Roman calendar. It must be remembered by the faithful however that these events belong to private revelation, as opposed to public revelation, that which is meant for all people for all time and has been completed by Christ. Catholics are under no obligation to place their belief in such occurrences and may choose to incorporate them into their lives of faith as they wish. Whatever the significance of the Fatima apparitions is for each us personally, this 100-year anniversary of these apparitions is a reminder of the central message of the Gospels, calling us to conversion and bringing us closer to Christ. O’Neill is the author of “Exploring the Miraculous,” creator of the website MiracleHunter.com and producer of the new EWTN series “They Might Be Saints,” available on TheyMightBeSaints.com.